Pediatric Voiding Cystourethrogram (VCUG) procedure is used to examine the bladder and lower urinary tract, by using fluoroscopy with contrast material, in children. Pediatric Voiding Cystourethrogram procedure involves the genital area of a child. Why is the Pediatric Voiding Cystourethrogram radiology procedure Performed? There have been no recent advances to replace the Pediatric Voiding Cystourethrogram procedure. What is the Cost of performing the Pediatric Voiding Cystourethrogram radiology procedure? The cost of Pediatric Voiding Cystourethrogram procedure depends on a variety of factors, such as the type of your health insurance, annual deductibles, co-pay requirements, out-of-network and in-network of your healthcare providers and healthcare facilities. How does the Pediatric Voiding Cystourethrogram radiology procedure work? How is the Pediatric Voiding Cystourethrogram radiology procedure Performed? Pediatric Voiding Cystourethrogram is performed as an outpatient procedure, at a hospital. A Voiding Cystourethrogram procedure is performed by an interventional radiologist. The Pediatric Voiding Cystourethrogram procedure may take about 15-30 minutes. However, there may be some waiting time involved, before and after the procedure. A radiologist interprets the result of the exam. A physician will request your consent for Pediatric Voiding Cystourethrogram procedure using an Informed Consent Form. What are the Limitations of the Pediatric Voiding Cystourethrogram radiology procedure? What is a Pediatric Voiding Cystourethrogram procedure? What is to be expected during the Pediatric Voiding Cystourethrogram radiology procedure? The patient may experience slight discomfort at the time of catheter insertion and when the bladder is filled completely with a contrast material. Since the Pediatric VCUG procedure is a minimally invasive procedure, anesthesia is rarely used during the procedure. 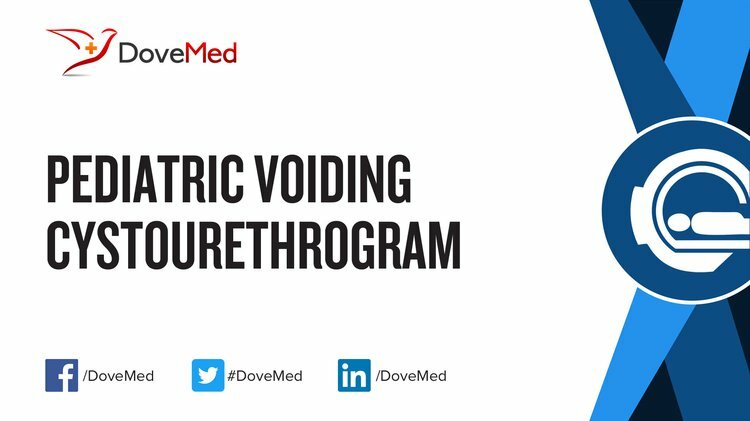 What are the possible Risks and Complications during the Pediatric Voiding Cystourethrogram radiology procedure? Rarely, there may be an allergic reaction from the contrast dye used in the preparations. What Post-Operative Care is needed at the Healthcare Facility after the Pediatric Voiding Cystourethrogram radiology procedure? What is to be expected after the Pediatric Voiding Cystourethrogram radiology procedure? The patient may experience slight discomfort while urinating, after the procedure. But, this often resolves within 12 hours or less. What Post-Operative Care is needed at Home after the Pediatric Voiding Cystourethrogram radiology procedure? The whole procedure takes only about 30 minutes and the patient may resume their normal activities, immediately on completion of the procedure. The Pediatric Voiding Cystourethrogram procedure does not involve the removal of any body tissue. Who will you receive a Bill from, after the Pediatric Voiding Cystourethrogram radiology procedure? The patient is advised to inquire and confirm the type of billing, before the Pediatric Voiding Cystourethrogram procedure is performed.